A 403(b) plan can be an excellent way to save money for retirement. It can serve as a supplement to your NYSTRS pension plan. But choosing the right 403(b) retirement plan can be overwhelming especially if you work in a school district. Click and expand these sections below to learn more about each topic. Warwick Valley CSD’s 403(b) providers and their products. 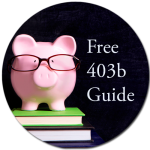 What is a 403b plan? A 403(b) plan, also known as a tax-sheltered annuity (TSA) plan, is a retirement plan provided by certain employers. Employers such as public educational institutions (public schools, colleges and universities), certain non-profits, and churches or church-related organizations may offer 403(b) plans. Similar to 401(k) plans, 403(b) plans allow you to contribute pre-tax money from your paycheck to your 403(b) plan to invest in certain investment products. The 403(b) is named after the section of the IRS code governing it. How does a 403(b) plan work? School district employees make contributions to a 403(b) on a pre-tax basis through a Salary Reduction Agreement. This is an arrangement where the participating employee agrees to take a reduction in salary. The amount by which the salary is reduced is directed to investments offered through the employer and selected by the employee. These contributions are called elective deferrals and are excluded from the employee’s taxable income. These pre-tax contributions and any investment earnings will not be taxed until you withdraw the money, typically after you retire. What are the benefits to contributing to a 403(b) plan? There are three main benefits to contributing to a 403(b) plan. The first benefit is that you don’t pay income tax on allowable contributions until you begin making withdrawals from the plan, usually after you retire. Allowable contributions to a 403(b) plan are either excluded or deducted from your income. However, if your contributions are made to a Roth contribution program, this benefit doesn’t apply. Instead, you pay income tax on the contributions to the plan but distributions from the plan (if certain requirements are met) are tax free. The second benefit is that any earnings and gains on amounts in your 403(b) account aren’t taxed until you withdraw them. Any earnings and gains on amounts in a Roth contribution program aren’t taxed if your withdrawals are qualified distributions. Otherwise, they are taxed when you withdraw them. The third benefit is that you may be eligible to take a credit for elective deferrals contributed to your 403(b) account. Participants may contribute up to $19,000 for 2019. Participants age 50 and older at any time during the calendar year are permitted to contribute an additional $6,000 in 2019, for a total of $25,000. Also the plan offers the 15-years of service catch-up provision. Employees with 15 years of service with their current employer and an annual average contribution of less than $5,000 per year are eligible for an additional $3,000 contribution per year up to a lifetime maximum catch up of $15,000. This is known as the 15-year rule. MWCSD allows Roth 403(b) Contributions. Roth contributions are deferred from paychecks to investment accounts on an after-tax basis, as opposed to Traditional 403(b) which are deferred on a pre-tax basis. account being opened for 5 years, whichever is later, may result in a 10% IRS penalty tax. Future tax laws can change at any time and may impact the benefits of Roth accounts. Note: Roth 403(b) accounts are not available from all P3 Providers. Please review the information listed on the Warwick Valley CSD 403(b) Providers page for providers that show “403(b) Roth Account Available” after the provider name where applicable, then follow the Enrollment Steps to begin participation. How do I enroll in the plan and start contributions? Select the provider you wish to invest with from the OMNI’s list of approved providers on its Web site. Employees should contact each provider for information about the 403(b) products and services it offers. This is often the biggest and most important hurdle! Establish an account with your chosen provider. Application forms can be obtained from the representative of, or the investment provider you select. The application is submitted to the investment provider for processing. form is used to establish, change, or cancel salary reductions withheld from your paycheck and contributed to the 403(b). Your employer will forward the contribution to the investment company on your behalf. *Important- You MUST establish an account with your selected provider prior to the date you begin the Salary Reduction. If the account has not been properly established, your contributions will be returned to you and will be taxable. Verifying that account has been established before submitting the SRA will expedite the process and help to avoid having funds returned to you. What are the investment options in a 403(b) Plan? As a participant in a 403(b) plan, you may need to choose among different types of investments. Typically, 403(b) plans offer two types of investment products – annuities and mutual funds. The insurance company promises you a minimum rate of interest and a fixed amount of periodic payments. Fixed annuities are regulated by state insurance commissions. Please check with your state insurance commission about the risks and benefits of fixed annuities. investments, and expenses. The SEC regulates variable annuities. For more information about their benefits and risks, please read our Investor Bulletin: Variable Annuities – An Introduction. This annuity combines features of securities and insurance products. The insurance company credits you with a return that is based on a stock market index, such as the Standard & Poor’s 500 Index. Indexed annuities are regulated by state insurance commissions. Please check with your state insurance commission about the risks and benefits of indexed annuities. through a broker for the fund. IMPORTANT! Vendors may use different names for these investment products. After reviewing the vendor’s plan materials, if you are uncertain about what type of investment product a vendor offers, contact the vendor and ask them to explain it to you. For more information about annuities and mutual funds, please read our descriptions on Investor.gov (annuities,mutual funds). First, do not assume that your employer has endorsed any vendor. Neither your employer nor Omni 403b can offer any investment advice or market investment products. Read your employer’s 403(b) documents to learn the basic rules for how your plan operates. Any additional information the vendor may need to provide as required by applicable federal or state laws. Research each vendor’s background, credentials and experience. For tips on researching a vendor registered with the SEC or state securities regulators, please read the SEC’s Investor Bulletin: Top Tips for Selecting a Financial Professional. Vendors that are insurance companies generally register with your state’s insurance commission. For information on how to research insurance companies in your state contact your state insurance commission. Understand how much you’ll pay for the vendor’s investment products and services, including any fees or commissions. Ask each vendor if it provides this information in a simple form that you can easily compare to similar information from other vendors. You may want to consult with your own stock broker, tax advisor, financial consultant, or insurance agent before making your decision. Warwick Valley CSD is part of OMNI’s Preferred Provider Program (P3) which allows you to choose your 403(b) provider from a list of pre-selected Providers / Investment Companies. Who/what is the Omni Group? OMNI® is a Third-Party Administrator (TPA) of 403(b) plans. They work with your school districts to help ensure compliance with IRS regulations governing the operation of 403(b) plans. OMNI® also helps your employer remit 403(b) contributions to participating service providers. OMNI® is NOT an investment company/ service provider- they do not offer and cannot recommend any specific investment vehicle. Warwick Valley CSD currently has 15 different Providers listed at OMNI, each with their own account options, pricing structures, fees and investment products for you to sift through. The investment products offered by these Providers are accessed through a financial professional. Typically to access an annuity or mutual fund from these Providers you would work with a financial professional that is an employee of the Provider. Most these companies only offer their proprietary investment products. The investment products offered by these Providers are accessed through a financial professional like Warwick Valley Financial Advisors. These Providers typically do not sell through in-house employees but rely on independent financial professionals to market their annuities and/or mutual fund products. Independent financial professionals often have relationships and experience with multiple, but not all, Providers. The investment products offered by these Providers generally are accessed directly by plan participants. Typically, participants work directly with these Providers and do not work through a financial professional. Below, are Warwick Valley’s 15 Providers with links to provider details. We have tried to provide more informative links about each Provider than is currently available on OMNI’s 403(b) Plan Detail page. New York Life Ins. & Annuity Corp.
Fidelity Management Trust Co., Mass Mutual VA, MetLife (FC), Paul Revere Insurance Group, Putnam Investments, T. Rowe Price Trust Co., Vanguard Fiduciary Trust Co. So how do you choose a 403(b) Provider that’s right for you? Comparing 15 Providers, analyzing the pricing structures and finding any hidden fees is no small task. But it is essential to make an informed decision because your selection WILL affect your retirement account in the future. Our 5-step Teachers Shopping Guide is a user-friendly guide that covers many of these topics. Visit our (b)informed blog for more informative 403(b) articles. There is no cost or obligation to ask a question about your options. Call 845-981-7300. Warwick Valley Financial Advisors aims to help teachers make the most of their money and utilize their finances to live exceptional lives. We’d love to hear from you and provide more information on how we can help with your financial planning whether it be retirement, insurance, student loans, or other important financial matters. If you’re suffering from the paradox of too much choice, or if you have questions about your plan and the fees you might be paying, please drop us a note. 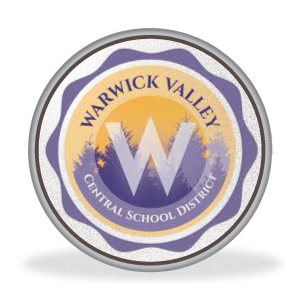 If you have recently retired or are terminating employment with the Warwick Valley Central School District, then you have some important decisions to make about your investment allocations. Contact us today to get started on your complimentary portfolio review. I am an independent advisor committed to the fiduciary standard, and I don’t earn commissions from the recommendations that I make to clients. My firm has agreements with FTJ Fundchoice & Aspire financial who are available on the Warwick Valley CSD Omni Provider list and I offer prospective clients a complimentary portfolio review. This is where we look over your plan, discuss your needs, and identify the investments that are the right fit for you. Investing in mutual funds and variable annuities involves risk, including possible loss of principal. 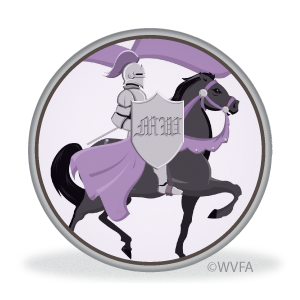 Fixed and Variable annuities are suitable for long-term investing, such as retirement investing. Gains from tax-deferred investments are taxable as ordinary income upon withdrawal. Guarantees are based on the claims paying ability of the issuing company. Withdrawals made prior to age 59 ½ are subject to a 10% IRS penalty tax and surrender charges may apply. Variable annuities are subject to market risk and may lose value. Equity Indexed Annuities (EIAs) are not suitable for all investors. EIAs permit investors to participate in only a stated percentage of an increase in an index (participation rate) and may impose a maximum annual account value percentage increase. EIAs typically do not allow for participation in dividends accumulated on the securities represented by the index. Annuities are long-term, tax-deferred investment vehicles designed for retirement purposes. Withdrawals prior to 59 ½ may result in an IRS penalty, and surrender charges may apply. Guarantees are based on the claims paying ability of the issuing insurance company. None of the third party service providers mentioned are affiliated with Private Advisor Group, Warwick Valley Financial Advisors or LPL Financial. Warwick Valley Financial Advisors and LPL Financial are not affiliated with or endorsed by the Warwick Valley CSD. This material was created for educational and informational purposes only and is not intended as ERISA, tax, legal or investment advice. If you are seeking investment advice specific to your needs, such advice services must be obtained on your own separate from this educational material. Monroe-Woodbury’s 403(b) providers and their products. Note: Roth 403(b) accounts are not available from all P3 Providers. Please review the information listed on the Monroe-Woodbury CSD 403(b) Providers page for providers that show “403(b) Roth Account Available” after the provider name where applicable, then follow the Enrollment Steps to begin participation. Monroe-Woodbury is part of OMNI’s Preferred Provider Program (P3) which allows you to choose your 403(b) provider from a list of pre-selected Providers / Investment Companies. Monroe-Woodbury currently has 24 different Providers listed at OMNI, each with their own account options, pricing structures, fees and investment products for you to sift through. Below, are Monroe-Woodbury’s 24 Providers with links to provider details. We have tried to provide more informative links about each Provider than is currently available on OMNI’s 403(b) Plan Detail page. Comparing 24 Providers, analyzing the pricing structures and finding any hidden fees is no small task. But it is essential to make an informed decision because your selection WILL affect your retirement account in the future. If you have recently retired or are terminating employment with the Monroe-Woodbury School District, then you have some important decisions to make about your investment allocations. Contact us today to get started on your complimentary portfolio review. My firm has agreements with FTJ Fundchoice & Aspire financial who are available on the Monroe-Woodbury Omni Provider list and I offer prospective clients a complimentary portfolio review. This is where we look over your plan, discuss your needs, and identify the investments that are the right fit for you. Warwick Valley Financial Advisors and LPL Financial are not affiliated with or endorsed by the Monroe-Woodbury CSD.